The most experienced Cosmetic Tattooists know that CTshop.com.au is the best supplier in Australia and Amiea is by far the best brand, it stands to reason that the manufacturer of almost all of the brands out there is going to place their own private brand Amiea above all others. 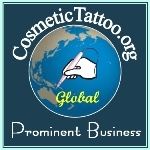 But even an experienced Cosmetic Tattooist can make the mistake of buying another brand of Cosmetic Tattoo Device from another supplier and end up feeling dissatisfied, some technicians have contacted us and say that they feel trapped into continuing to purchase from suppliers who are overpriced, who lack our superior product knowledge and unfortunately they don't provide our exceptional service. We Feel Your Pain and decided to do something about it! If you are an experienced Cosmetic Tattooist and currently own a different brand of device and would like to switch to using amiea we have introduced an incentive programme for those who want to switch brands to amiea. Contact us to find out more about our Incentives For Switching.